When prominent Internet sites, such as www.cnn.com, are exposed to security threats, the news reaches all parts of the globe. Ensuring that data across any IP network is secure and not prone to vulnerable threats is one of today's most challenging topics in the IP storage arena (so much so that Cisco released an entirely new CCIE certification track). The solution to these and numerous other problems is to provide encryption technology to the IP community and allow network administrators the ability to ensure that data is not vulnerable to any form of attack or intrusion. 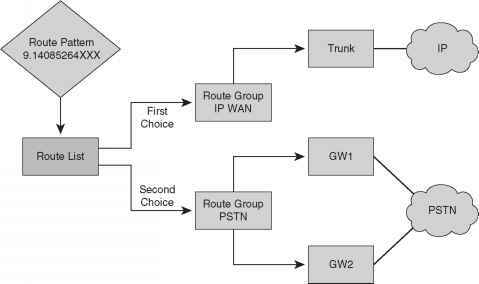 This ensures that data is confidential, authenticated, and has not lost any integrity during the routing of packets through an IP network. Encryption is defined as the process by which plain data is converted into ciphered data (a system in which plain text is arbitrarily substituted according to a predefined algorithm) so that only the intended recipient(s) can observe the data. Encryption ensures data privacy, integrity, and authentication. Figure 5-7 displays the basic methodology behind data encryptions. Data is encrypted and only readable if decrypted by the correct key. Figure 5-7 demonstrates the basic principles of data encryption, including the following: Step 1 User data is forwarded over the network. Step 3 A mathematical formula is applied to scramble the data. In Figure 5-7, the mathematical formula is applied during Step 2. Step 4 The data flows throughout the network and can be decrypted only if the correct key is applied.